What doesn’t work is quickly replaced instead of repaired. But resistance is stirring. Maintaining, mending, storing, repairing, collecting: when consumers prefer simple disposal to these options, we speak of a “throwaway society”. The term refers to a complex phenomenon that has a predominantly negative connotation. When in advanced industrial societies today a particular thing or service has fulfilled its function, breaks or seems outdated, it is usually set aside forthwith to make room for a replacement. No effort is expended to make it functional again or to use it otherwise. Such a society has no heart for things. They are basically interchangeable and expendable. They have no intrinsic value. Manufacturers often encourage consumers in this attitude. 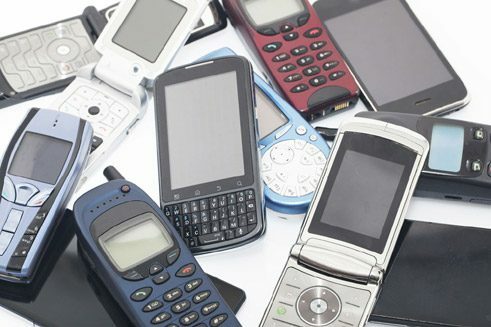 To ensure the ongoing sales of products, they constantly urge consumers to throw away their existing possessions so as to buy new ones straightaway, regardless whether the old ones are still in good working order. It is only in this fashion that the business cycle keeps going. If demand falters, the machine grinds to a halt. Observers have thereby long suspected that the producers actively contribute to shortening artificially the service life of their products by planning in predetermined breaking-points or building in fault-prone components. After a calculable operational life, they give up the ghost, so that the owner is forced to replace the whole unit because repair is no longer worthwhile or possible. This suspicion has proven difficult to verify, but it remains tenacious. Historically, the expression “throwaway society”, emerged in the course of the development of the “affluent society”, particularly after the Second World War. If the first half of the twentieth century was still marked by an economy of scarcity, in the second half this situation was radically reversed. The supply of the population with all kinds of goods and services seemed to know no bounds. Scarcity was supposed to have been abolished. The general impression was that there was more than enough of everything, and the general promise that of utopia. Under such premises, those virtues such as maintaining, mending, storing, repairing and collecting which were vital in an economy of scarcity, became obsolete and no longer up-to-date. People who clung to them seemed almost old-fashioned, anachronisms. The designation “throwaway society”, as has been indicated, is decidedly meant in a critical sense. Accordingly, there have long been movements opposing it, championing and actively supporting maintenance and repair. This development has been noticeable since the 1950s. The Club of Rome’s 1972 report on the Limits of Growth is likewise significant in this respect. The sustainability discourse now forms a very influential trend that speaks out loudly against the excesses and costs of the throwaway society, pointing to resource scarcity and environmental degradation. These cultural counter-movements are not content merely to protest. On the contrary, they are marked by a zeal to reform life that seeks to effect specific changes and improvements in everyday life through experiments, initiatives and projects. They want to show that there is another way, and many of these ideas have found a broad resonance and great interest in the media as well as in certain sections of the population. Here a permanent cultural change is taking place which, with a certain delay, a corresponding structural change seems to be ensuing. Thus numerous Internet platforms enable their users to pass on or share no longer needed clothes, food and other goods. Many new business models are also based on the idea of sharing – for example, of living space or a car; keyword: “sharing economy”. Nevertheless, we live in a global society that is primarily oriented to the future. Hand in hand with this goes the firm belief in development, progress, innovation, change, transformation. The drive to incessant research and innovation, which plays a decisive part in the phenomenon of the throwaway society, is probably here to stay. And there is also much good bound up with this drive: the questioning and abolition of dubious, inhumane and unjust traditions; the willingness to enter into the new in a positive spirit; the declared curiosity about the different, the foreign, the strange; in short, the world-wide improvement of living conditions. Kai-Uwe Hellmann is Professor of Consumer and Economic Research at the Technical University of Berlin and Research Director of the Institute for Consumer and Brand Research.